A big thanks to all alumni who attended WHS Alumni events during the Covered Bridge Festival weekend. Once again the turnout was magnificent and both activities well attended. The Alumni Hospitality room at the Farmers & Merchants State Bank Community room was hosted by Board members Marilyn Fairholm and Laurel Scholten, with other alumni helping. Suzanne Null and Phyllis Woodley were greeters. A great success, so please plan on stopping by next year to relax and enjoy refreshments. The All-Class Reunion at the Jackson Building continues to be the gathering place for alumni to renew friendships and contact fellow classmates. The meal provided by Jo Agan went quickly, so next year get there early and enjoy her spread. Free-will donations from alumni helped offset the costs and hopefully the donations each year does this for your Association. Plans are to have the reunion there again next year and years to follow. Linda Kelly had quite a few alumni stop by her table and renew memberships for the year; some become new members and some became life members of the Association. With dues only being $15 for a single, $20 for a married couple, and $150 for a Life Membership, this organization is still a bargain. Please think about joining if you currently are not a member. You can go the our website at www.wintersetalumni.org to sign up as well as find out about the Association. If you want to become an Alumni Board member, please contact me at my email address listed below. We would like to have you on the board. Your Husky editor, Carol Bassett, once again was awesome. She got classes together for photo ops and she said it was a great opportunity although there were some who did not get in the photos from classes. Next year we plan to have a sound system to announce photo ops so we do not leave any classmates out of the taken picture. One last item concerning the All Class Reunion: 356 alumni signed the registration booklet and the goal next year is to have 500 sign in. The oldest graduating class in attendance was the Class of 1942, with Calvin Tyer representing that class. The Class of 1965 had the most in attendance with 20 signed in. Many other classes had close to 20, but 1965 wins the prize, which is a great big THANK YOU, and remember that is the number to beat next year. I hope my classmates from the Class of 1964 take up the challenge and win next year (we were three short this year). Other important news from the last Association Board meeting is this: We will be setting up an account on PayPal for alumni to be able to pay dues online. Hopefully this site will be set up shortly, so keep an eye out on our web site for updated information. This will be a great way for anyone to pay dues. So if you are not currently a member, think about using PayPal for signing up to your WHS Alumni Membership and begin getting the award-winning newsletter, THE HUSKY! Until my next blog, enjoy the holiday seasons with family and remember to keep in contact with classmates, plan your next class reunion, support WHS, renew your membership and stay active. Also, do not use the following website for WHS Alumni information. 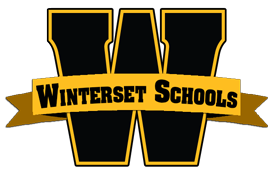 It is www.alumniclass.com/winterset. This is not our website so please do not sign up for their products or membership.